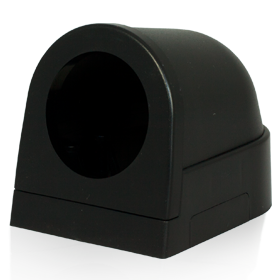 When looking to add gauges to your diesel truck, a Pyrometer EGT gauge should be at the top of the list. A pyrometer EGT gauge can be one of the most important gauges for monitoring a diesel truck’s engine. Not many things will damage a diesel turbo engine faster than excessive exhaust gas temperature, which is why having a pyrometer gauge to monitor your truck’s EGT is so crucial. A pyrometer gauge is a temperature gauge designed to measure a truck’s exhaust gas temperature. The EGT gauge is electronically driven and will read the exhaust gas temperature with the type K thermocouple EGT probe. An EGT gauge can warn the driver of dangerous conditions which can result in serious engine damage. Without an exhaust gas temperature gauge there is no other way to tell of such dangerous situations other than performance of the truck, which in most cases means the damage to the engine has already been done. Excessive exhaust gas temperatures can lead to engine and turbocharger damage, and even damage to the pistons by melting or cracking under the extreme temperatures. When mounting an EGT probe, it is recommended to do so in the exhaust manifold where it can read the temperatures of the heat that gets forced out of the engine during the exhaust-stroke. Generally it is suggested to do this 2-4inches from the cylinder head. Many experts will suggest installing the EGT probe in the exhaust manifold before the turbo. 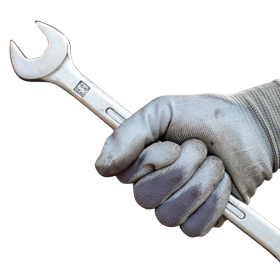 To install the EGT probe to the manifest we recommend using the 1/8th NPT drill and tap kit. 1)	The farther the probe is away from the manifold, the greater the lag time will be to vigorous changes in temperature. 2)	Exhaust gas cools as it travels away from the manifold, which will result in a 200-500°F difference. 3)	The turbo can act as a restriction depending on the setup. Exhaust gas can build up additional heat before the turbo while post-turbo exhaust gas temperatures can be lower because of reduced exhaust flow causing faster cooling. This can result in higher temperatures between the motor and turbo. EGT is an indication of how hot the combustion process is in the cylinders along with being related to the air/fuel ratio. Higher exhaust temperatures, typically above 1,600°F are the result of excessive fueling, high intake of hot air temperature, air restrictions, wind resistance, and lugging the engine. Anything that restricts the airflow intake or intake air density will limit the air mass that gets to the cylinders. This could be caused by a dirty/restrictive air cleaner, high outside air temperature, high altitudes, restricted or partially blocked air intake to or through the radiator or intercooler, and a high water temperature. 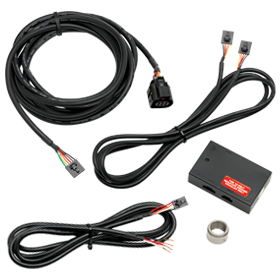 Although a water temperature gauge will warn the driver of a cooling system problem, a pyrometer gauge reacts more quickly so the driver can spot a problem sooner to avoid damage. For all diesel vehicles we recommend the installation of an EGT/Pyrometer Gauge. The gauge is an inexpensive upgrade that allows the driver to monitor the engine and be a guide for optimum fuel economy. 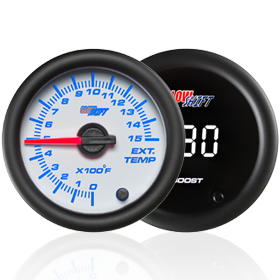 GlowShift offers a variety of options and styles of Pyrometer EGT Gauges for any vehicle that has a turbo or supercharger installed or any diesel truck towing heavy loads. 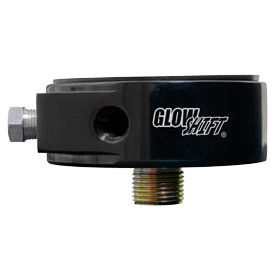 GlowShift’s EGT Gauges include 1500°F Pyrometer for diesel trucks, 2200°F and 2400°F Exhaust Gas Temperature models, which all come standard with a 1/8th NPT type K thermocouple EGT probe that can be installed either to the exhaust manifold or exhaust pipe using an EGT bracket. 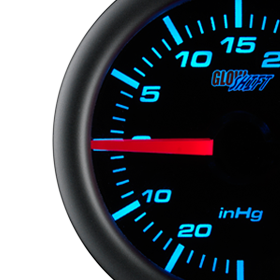 Every GlowShift Gauge purchase includes all sensors, mounting hardware, installation instructions, free lifetime technical support, and a one year limited warranty.